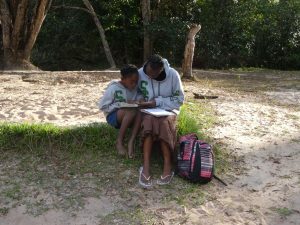 We write in loving memory of a good friend, Joan Hoyte, who served so faithfully for many years at Sakeji Mission School in Zambia. 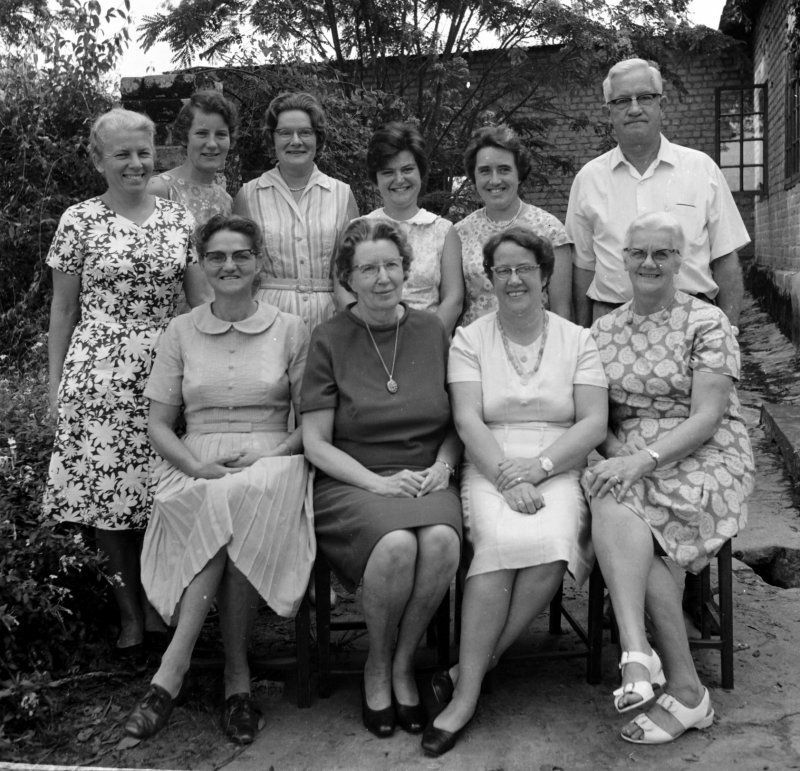 Joan was the granddaughter of the school’s founder, Dr. Walter Fisher and was born to Mr. and Mrs. Julian Hoyte who were serving as missionaries in Bunkeya, Congo. She was nick-named, Katwevi, after Mount Katwevi which was near the mission at Bunkeya. Her early years were spent as a student at Sakeji School. 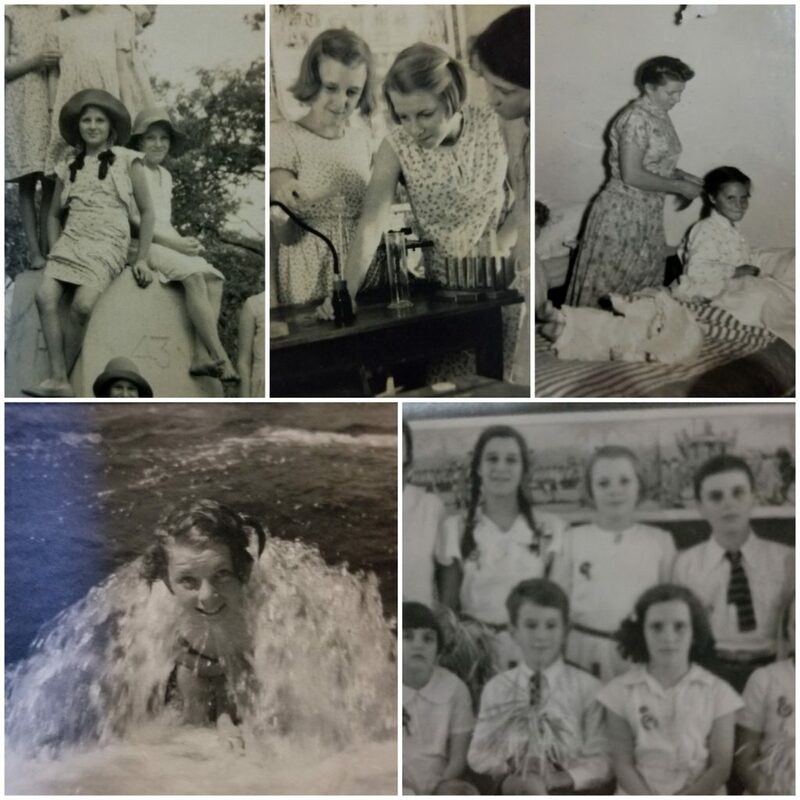 She went back to the UK to complete a nursing degree, and later followed the Lord’s leading to return to Sakeji as the nurse as well as a dorm mum. She faithfully ministered to so many throughout her career. For some, Sick Bay was even their favourite place! Miss Hoyte standing far left. Upon ‘retirement’ she felt led to stay on in the area. 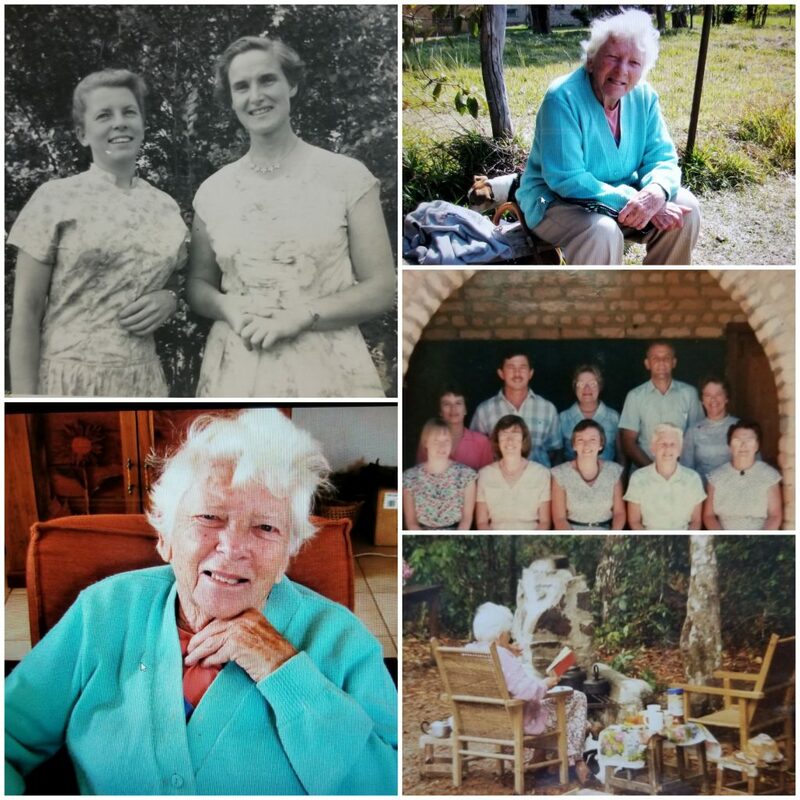 While continuing to take an interest inthe lives of staff and students, she became involved with visitation in local villages and in Christian literature distribution. She also was a real help with the Lunda Bible revision work. After a number of years of serving in this capacity, she returned to the UK due to reclining health. Joan (Katwevi) is remembered fondly as a good friend and encourager to many who knew her. Her energy and warm hospitality were second to none. Even in her elderly years she would take visitors up to see the old Kalene Mission station which was on a fairly steep hill. The funny thing was that she would often slow down to let the younger ones catch up. 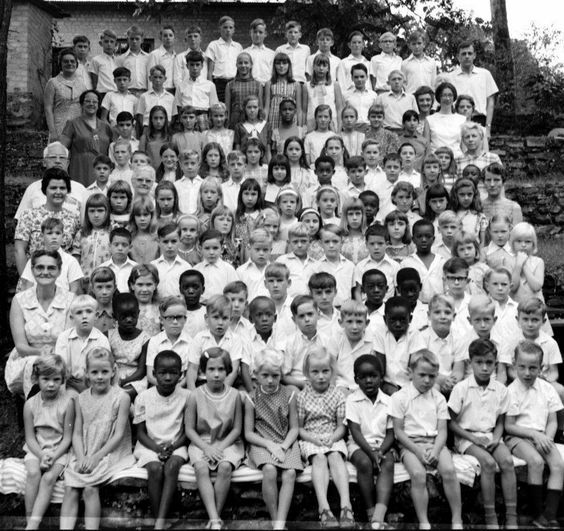 Miss Hoyte with entire school in 1975, seen end of fourth row from the top. 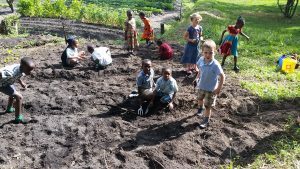 Grade One students have been getting their hands dirty in the garden! 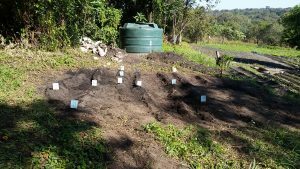 Gardening and learning about growing plants is all part of the Sakeji Mission School experience. 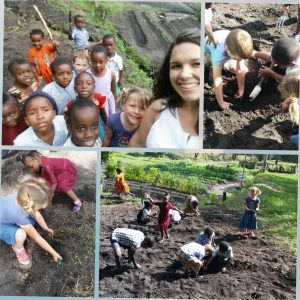 Well done, Gr1’s! 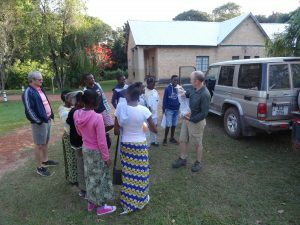 Students left on the 2018 CopperBelt Tour on Thursday morning. They will be playing matches at Amano Christian School on Friday and Saturday. We wish them all a successful and safe journey. Senior students are helping to spend a little extra time reading at the river with some of the junior students. 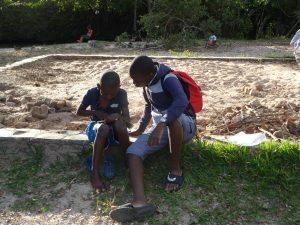 We really appreciate their help in assisting their young friends to build their reading skills.